Omega 1960’s OMEGA automatic this has the original crown, original signed crystal-all very simple, understated and fine. 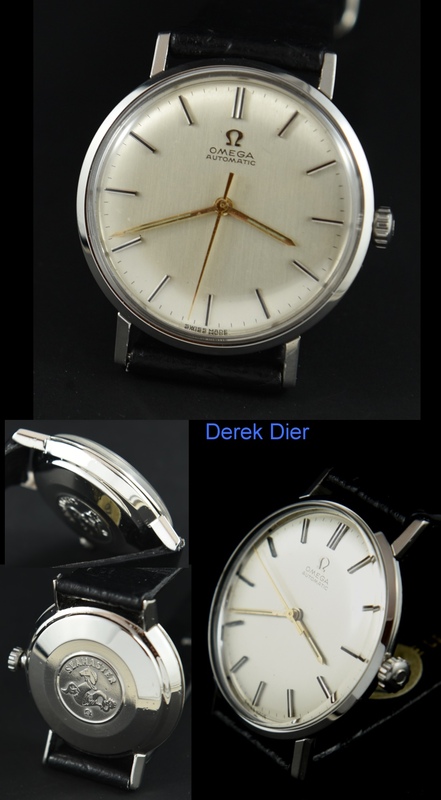 The original dial with steel baton markers, and gold hands truly depicts 1960’s simple elegance. The 34mm. OMEGA steel case with raised sea monster logo on the rear looks excellent. The automatic rotor winding OMEGA movement was just cleaned and is accurate. 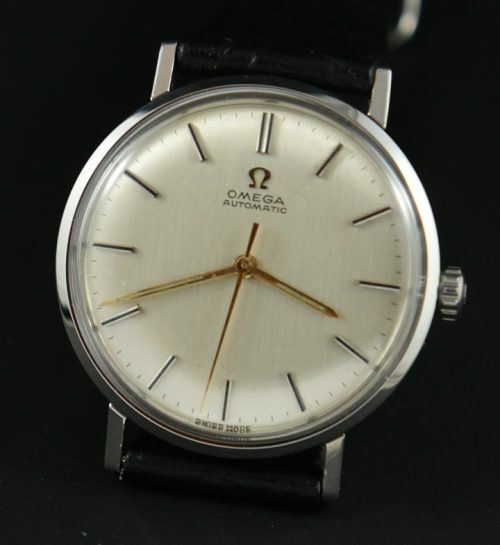 These 50’s OMEGA watches offer timeless style that will always be in fashion.